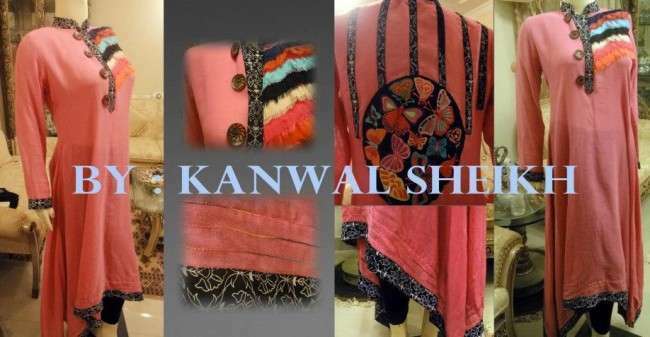 Kanwal Sheikh is one of the most famous, talented emerging designer of fashion industry which once again won the hearts of pardon by launching its amazing, fabulous trendy Eid collection 2013. 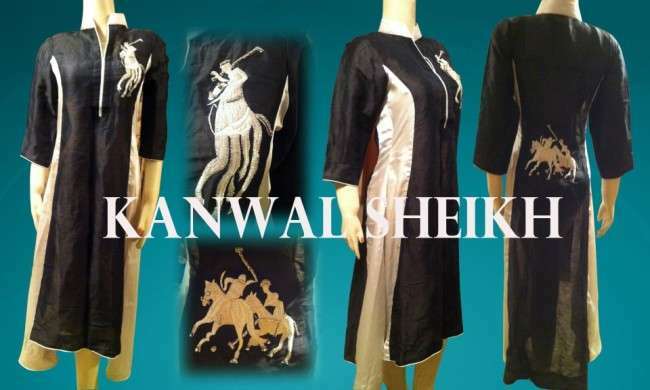 Kanwal Sheikh Trendy Eid Collection 2013 for Women consist of variety of stylish dresses which are ethnically planned for different occasions like eid, casual parties, get togethers and wedding ceremonies. All dresses are beautifully stitched, various stuffs like cotton, shaffon, silk and other fabrics are amazingly utilized which are embellished with exclusive stones, expensive pearls, stylish buttons and fascinating motifs to give dresses a new elegant look. Huge blend of different colour schemes in dresses are much appreciated by the clients. 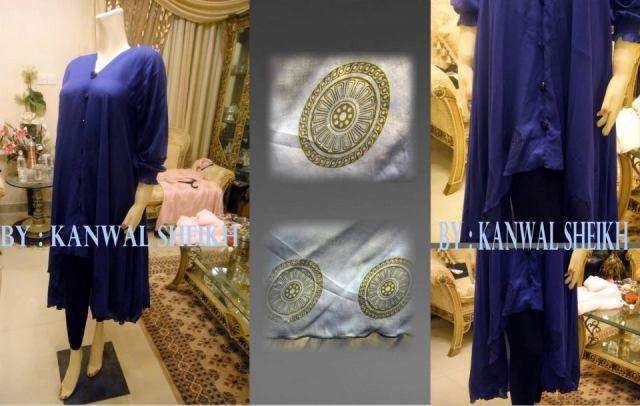 In trendy eid collection 2013, kanwal sheikh introduces Long shirts with churidar pajama, tights, shalwars or shararas to give clients a new graceful look. For night parties stunning bright colors are preferably used by the respected lady which are embellished with tussles and antique stones. Golden and silver shades are dominated in party wears. Long shirts along with shararas, ghararas and trousers with fascinating color contrasts are amazingly designed. Stuffs mostly used in party wears are silk and shafoon. Designer introduces fabulous collection of formal wear dresses for occasion of EID which grab the attention of customers. Light colours are more frequently used in formal wears which are amazingly beautified with adornment of embroidery and hand-made motifs. Long shirts with attractive embroidery on collars, sleeves, neckline areas are exclusively designed with back motif that appealed to young ladies. Trousers, churidar pajama are designed with these long shirts to give alluring look to the women. 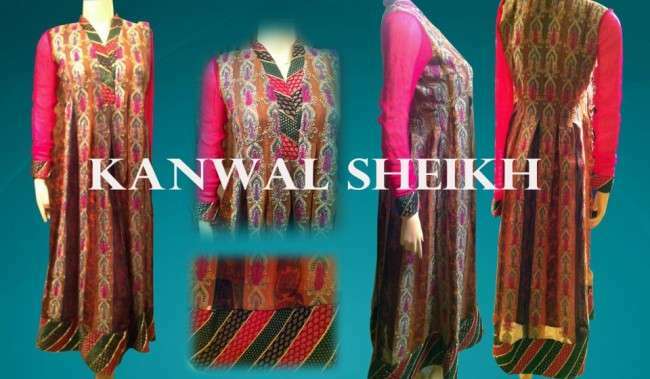 In the end I want to make clear that Kanwal sheikh trendy eid collection 2013 is one of best collections which introduces a large variety of amazing and beautiful dresses with unique, attractive and elegant styles that once again rocked the market.